Trails and Influences; Touchstones. Case #3/52. Well, what can I say, if there is a finer album of cosmic aquatic folklore out in the world I’ve not heard it. I’m not quite sure how I came across it but I think the first song I heard from it was Silver Chord, which is just haunting and is one of those songs that sends me into some almost trance like kind of state. Quite frankly sublime. 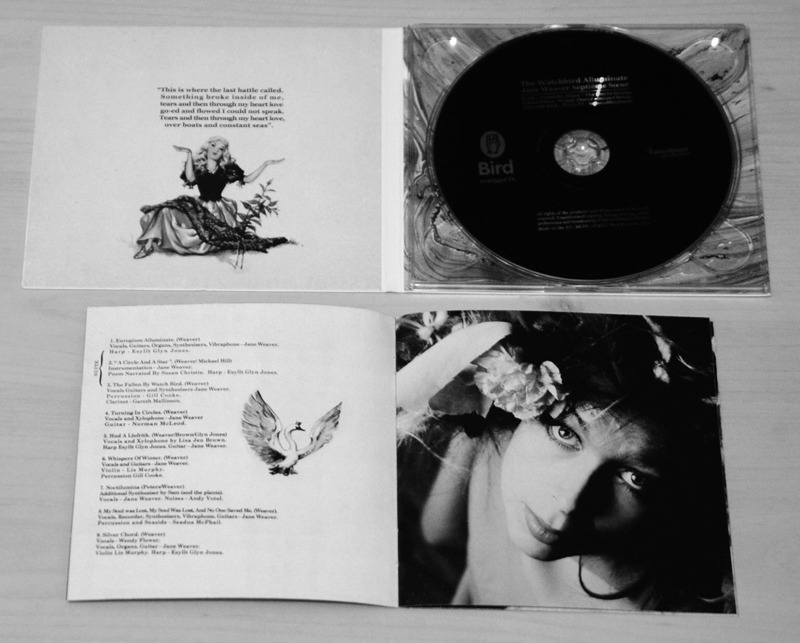 I’m sure an online search will let you know all about it but suffice to say that the first/main album features all kinds of left-of-centre and almost lost folk/pop songstresses, from Weny & Bonnie to Susan Christie via Lisa Jen… and that’s before we get to the companion (spin-off? remix? reimagining?) 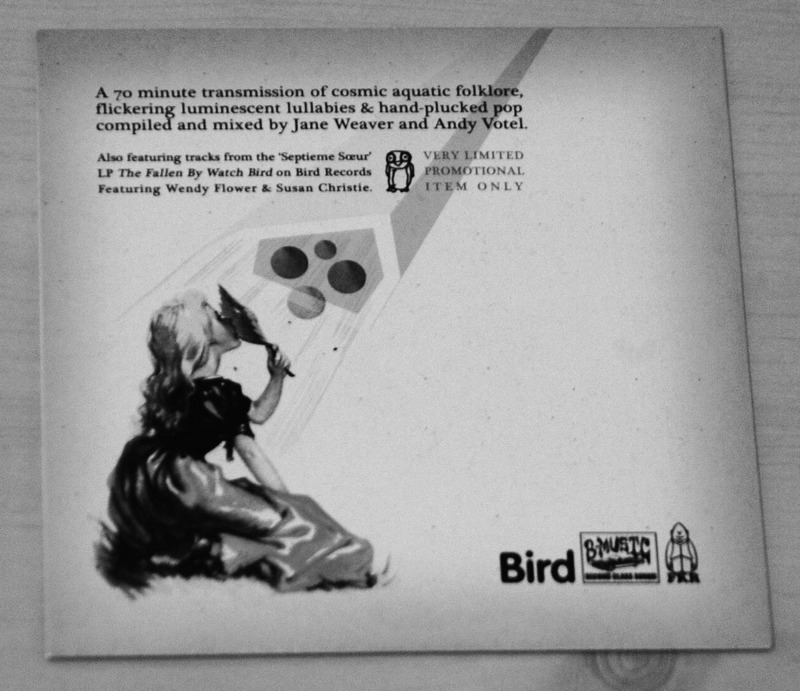 album The Watchbird Alluminate which features reworkings of the songs by Demdike Stare, The Focus Group, Wendy Flower, Amworth Kirk Samandtheplants and a beautiful, haunting reinterpretation of My Soul Was Lost, My Soul Was Lost And No-One Saved Me by Magpahi (worth the price of admission on it’s own I feel, tip of the hat to all concerned). 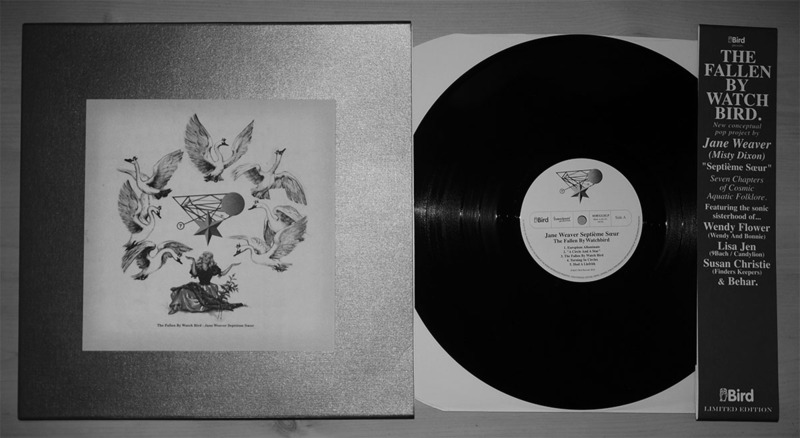 I think one of the interesting things about Fallen By Watchbird is that though in many ways it is resolutely avant garde in concept and influences, it’s actually a really good pop record; it has tunes you can and would want to hum. …and those influences also lead me down a path to discover or rediscover an interesting strand of cinematic history: the Czech New Wave (or the Czechoslovak film miracle, which considering the otherworldly nature of some of the films seems quite appropriate). Often playful, surreal, fairy tale like and often a feast for the eyes. Daisies and Valerie And Her Week Of Wonders are two of the standouts for me… though Ms Weaver quotes an unsubtitled copy of Malá Morská Víla (The Little Mermaid but possibly something of a world away from it’s more well known filmic twin) as having been the starting point for this album and some of the stylings of have found their way into the packaging and accompanying video. Right, I’m going on a bit here and I’ve not even got to the packaging yet… it was something of a trek to find a vinyl copy of Fallen By Watchbird but I’m glad I did… it’s a lovely package, from the gold gently corrugated sleeve, the tipped in cover image, obi strip etc: a real labour of love. I may natter about this fine record and it’s cultural companions another time (there is also a book, a compilation CD, a tote bag, a poster etc and it is released on Bird / Finders Keepers, all of which could easily make this post twice the length if I was to start nattering now) but suffice to say this is a record which I wholeheartedly recommend. I would recommend a viewing of the Fallen By Watchbird video. 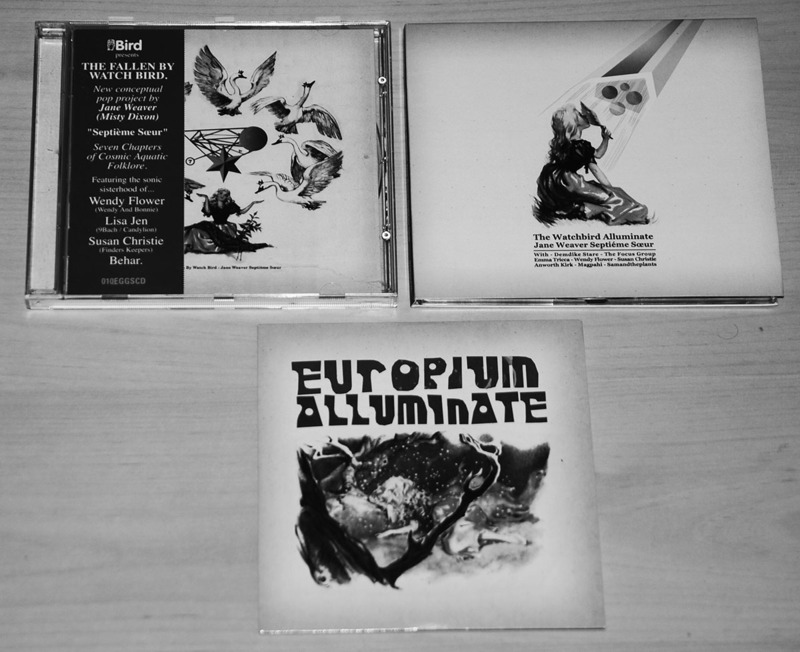 PS There is also an accompanying rare as the proverbial domestic fowls molars promotional mix CD called Europium Alluminate. It is described as “A 70 minute transmission of cosmic aquatic folklore, flickering luminescent lullabies & hand-plucked pop”, which is compiled and mixed by Jane Weaver and Andy Votel and which is a fine, illuminating and interesting musical journey (and I quite like that there’s no easily available tracklisting, so it leaves your mind wandering). Previous post: Day #5/365: Artifact #1/52. now available.